Finally, your merch and videos, all in one place. Teespring has officially integrated with YouTube! 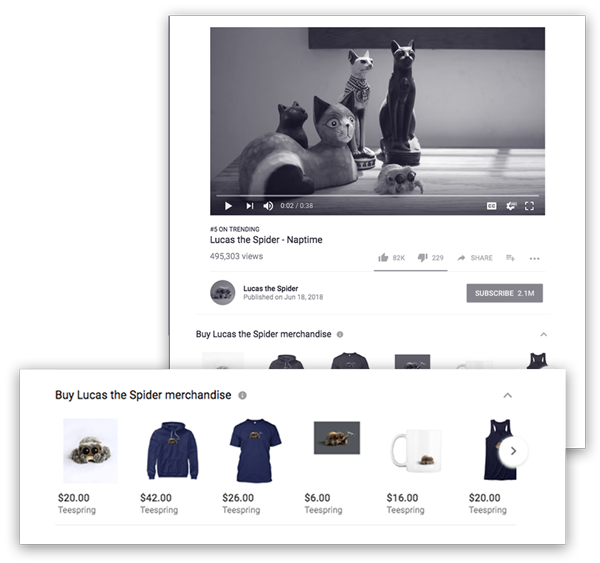 With this tool, you can sell merch by providing a seamless point of sale for your community right on your video pages. Upload your artwork onto a wide range of products using the design launcher, set your pricing, titles and descriptions and get set for launch! Check out our design support program here. Either add to your custom storefront and promote your store link or simply share a single listing for direct traffic. Be sure to follow best practices for promotion in our promo playbook! While we print, pack & ship your orders, feel free to request your profits, then it’s on to the next launch! We take care of all customer services, so if you fans have any issues - we’ll get it sorted! To see if you qualify, visit your YouTube Studio Beta, click on Monetization and follow the prompts through Merchandise. You’ll only see this option if your channel is eligible. It’s super easy to enable the YouTube merch shelf. Follow the on-screen instructions to get your Teespring Store ID and link it to your YouTube channel. For a full rundown on how to get set up, check out our guide and FAQ here. For creators in the US, all sales referred from your YouTube merch shelf will qualify for an additional YouTube bonus of $1 per item sold, paid after the end of a month. Stickers do not count towards the bonus. This bonus offer is valid through June 2019. If you’re outside the US, we will pay a bonus in your local currency that’s equivalent to $1 USD - this bonus is subject to exchange rate fluctuations. Results from early testing of the feature have already demonstrated the effectiveness of the new function. With substantial success seen from YouTubers utilising the service, conversion rates for viewers purchasing merchandise are testing as high as 2.5 times that of standard description links. Early adopters of the service saw an average of 25% more units sold per user, through the merch shelf. Our support team is available 8am-11:30pm EST M-F, 4pm – 8pm EST Saturday and Sunday. We will respond to any enquiry within 12 business hours. We offer a range of design support services as part of the merch shelf integration. Whether your channel is in its early stages or you have already established a large following, we are here to help! 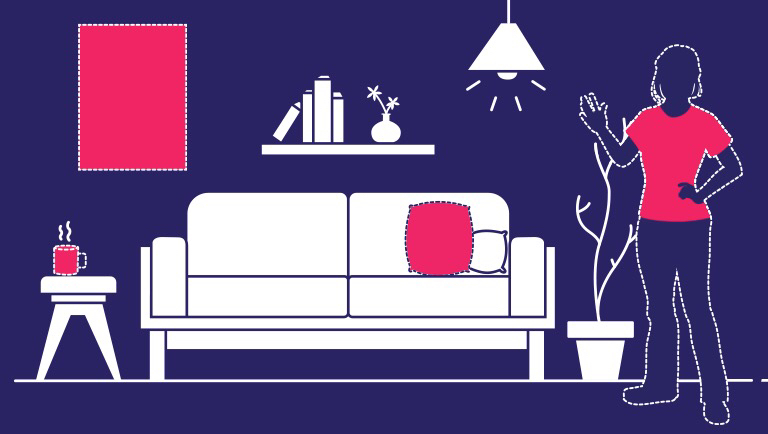 Check out the design support program for design advice and support services for all tiers. 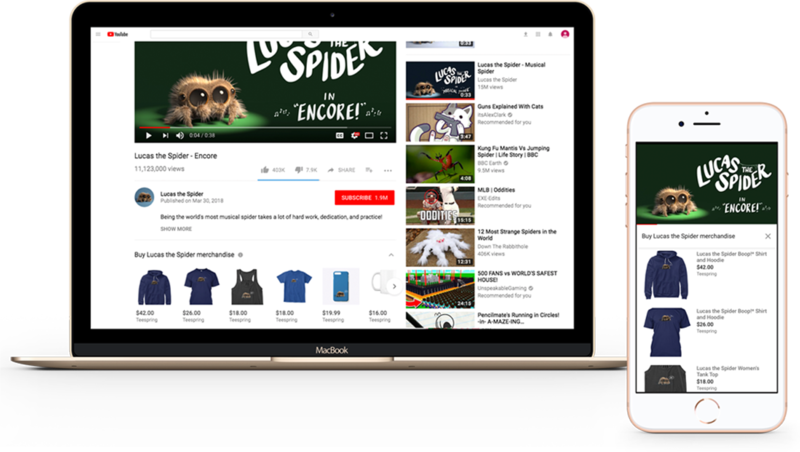 The merch shelf on YouTube is a brand-new, proprietary promotional browsing experience for digital creators and their communities. With beta conversion rates soaring and click-throughs testing even higher, more fans will be browsing your merchandise than ever before. Be sure to take advantage of the influx of visitors by building promotional calls-to-action into your regular content schedule. While ‘link in the description’ will continue to be important (for international buyers) and has a ‘nostalgic’ vibe to it, we’re seeing more success from creators who’ve decided to encourage fans to ‘surf the shelf’ or ‘check the shelf’ for new merch offers during pre-rolls, interludes and end screens. Organise your merchshelf using our ‘Featured Products’ tool, allowing you to choose your top four products to be displayed below your videos. Otherwise, we’ll prioritize designs launched in the previous 10 days. Integrating the browsing experience directly into video pages means that creators can also choose to promote their product lines in more subtle ways. Take advantage of the consistent promotional real estate by setting up your video set to feature products you want to promote. Wear your tees. Grab some pillows and stick them on your couch. Hang some posters on the wall behind the camera. Make sure you’re drinking your coffee out of a mug with...you guessed it, your brand on it! Check out the diagram below for more inspiration. Where can I find my Teespring Store ID? First, you must complete the onboarding process described above through your YouTube Studio Beta to sign into Teespring to create a Teespring Store ID. It is also important to copy and paste your Teespring Store ID into your YouTube Studio Beta to finalize the connection. Afterwards, you can reference your Store ID in three locations: 1. You will receive an email from Teespring containing your Store ID as soon as you sign in or sign up through the YouTube Studio Beta. 2. While signed into your Teespring account, visit teespring.com/youtube/gmc to bring up the original Store ID page. 3. In your Teespring account settings. Will this affect my Google AdSense revenue? No, this is a free service provided by YouTube and Teespring and it does not detract from your AdSense revenue. Nope! This is a completely free program and it will not interfere with your ad revenue. In fact, program participants are paid a monthly YouTube creator bonus – an additional $1 per every item you sell through the merch shelf. So does this mean I no longer have to include links in my video descriptions or do in-video promotion? No, this program has only been rolled out to viewers in the United States, which means your viewers abroad won’t see it. To make sure they get a chance to purchase your merch, we highly recommend that you keep doing all the great things you’ve been doing. Why can’t I see the feature in my YouTube Studio Beta? The integration is currently available for select creators in the YouTube Partner Program and who have more than 10,000 subscribers. How many products are displayed on the shelf? The YouTube merch shelf will display up to 12 products, selected from your active, non-private Teespring listings. If you have multiple colors, the featured color will be displayed. Can I select the order in which my products are displayed in the shelf? Yes you can! You can select the first 4 products displayed on your shelf at any given time using the ‘Integrations’ tab in your Teespring dashboard. Otherwise, designs will be ordered based on sales, with the most popular designs being displayed first. However, we’ll prioritize designs launched in the previous 10 days over older designs. Can I choose which videos under which to show my merch (for example, if I don’t want all of my videos to display a merch shelf)? No, you cannot exclude certain videos to exclude from the merch shelf. Can I allow different sets of products to show up under different videos? No, the same merch will appear in the shelf under each video. What kind of data does Teespring share with YouTube? We share data about your Teespring account, including number of purchases, number of page visits, retail price of items sold, total revenue and profit, cancelled orders, and whether the page visit came from the merch shelf. We do not share any personally identifiable information with YouTube. Products featured in the merch shelf must comply with YouTube’s Community Guidelines. If your design is listed on Teespring but not on the merch shelf it may have been removed due to content concerns. If you recently uploaded the design to Teespring it can take up to 14hrs to show up on YouTube.